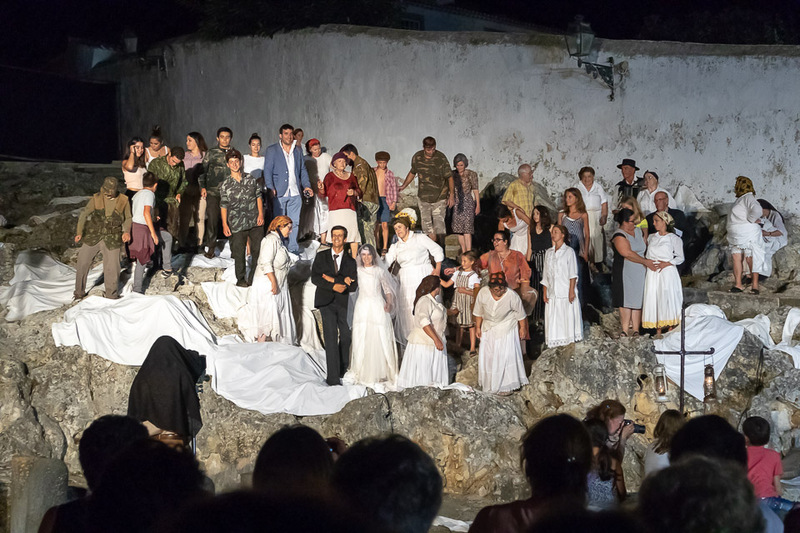 Aguas Vivas or Living Waters is an open air theatre production staged in the natural theatre of Olhos Marinhos in the community of Obidos as part of the Anatomia da Identidade project. 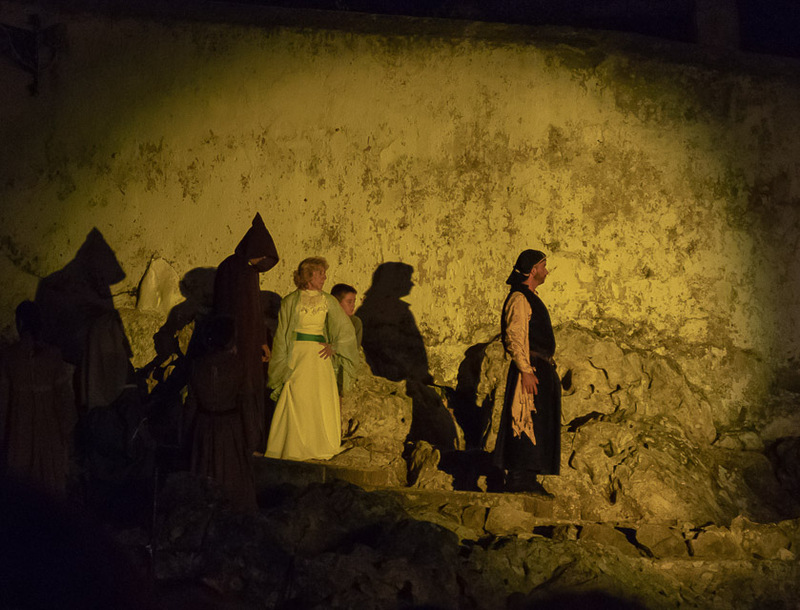 The project “Anatomia da Identidade (Anatomy of Identity)”, which is being developed in Óbidos by the actor Pedro Giestas and involves schools, day centres and the community of Óbidos, aims to “To rescue memories of our cultural identity, both individual and collective, and at the same time create concrete cultural dynamics and contribute to an improvement of their lives.” You can read the original Portuguese on their website. 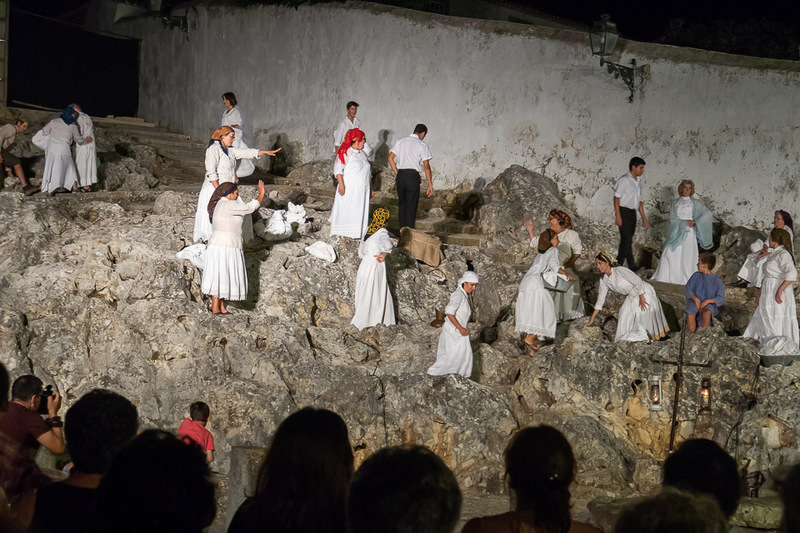 The Living Waters production we went to see involved a cast of 40 or so villagers played out on the rocks above the village water spring or “fonte” and told the story of the development of the village from the beginning of time to the present day. The performance was on the rocks in this Google Streetview below. An extremely good production and performance by all involved which made for a most enjoyable 100 mins of open air theatre.